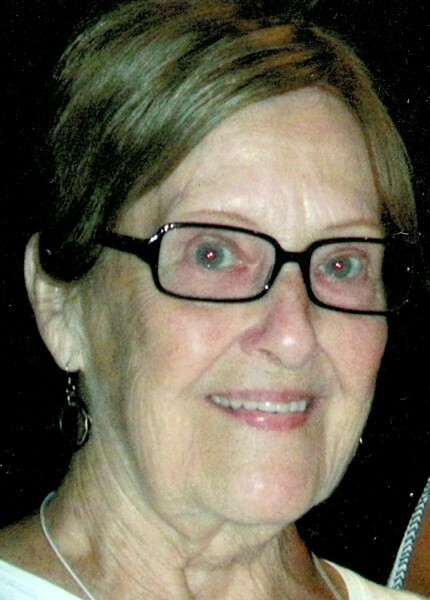 Lorraine Merchant Gabbeitt age 80 of Winooski, Vermont passed away after a long battle with cancer on Thursday, January 14, 2016 surrounded by her loving family at the University of Vermont Medical Center. Lorraine graduated from Winooski High School in 1952. She went on to work for New England Telephone, and retired after many years of service. Lorraine was an avid sports fan. She loved the Boston Red Sox and Celtics. She was a lifetime member of the Winooski Veterans of Foreign Wars Post 1767 where she served as treasurer for many years. She was also a member of Winooski Seasons Greetings and the Winooski Senior Center. She truly enjoyed and looked forward to her weekly coffee social hour with her very close friends, Peggy Cadieux, Jean Devarney, JoAnne Myers, and Ann Frenette as well as her monthly luncheons with her New England Telephone friends where she was able to visit with her very dear friend Marion Bistram. Her family was her life who she loved more than anything, especially her two granddaughters who she was so very proud of. She is survived by daughters Judy (Jim) Heintz of Colchester, Stephanie (Bernie) Fregeau of Winooski, granddaughters Ashley (Jason) Holtz and Baby H of Milton, Jennifer Heintz of South Burlington, sister Teddy (Ron) Yandow of Winooski, sister in-laws Sue (John) Martin, and Martha (Ernie) Courcy, and many nieces and nephews. She was predeceased by her parents Theodore and Madeline (Shepard) Merchant, husbands Robert “Bobby” Landry and John Thomas “Tommy” Gabbeitt, in-laws Arthur and G.G. Landry, John and Evangeline (Van) Gabbeitt, sister and son in-law Elaine and Jerry Bergeron, sister Dorothy “Dot” Shaw, niece Christine Connolly and nephew Timothy Bergeron. A very special thank you to the McClure 6 Staff at the University of Vermont Medical Center. They were absolutely wonderful and took very good care of all of us. A Mass of Christian burial will be celebrated at 11 am on Tuesday, January 19th 2016 at St. Francis Xavier church in Winooski, Vermont. Intermittent will follow at Resurrection Park in South Burlington. Reception to follow at the VFW Post 1767, 6 Maple Street, Winooski, Vermont. There will be no visiting hours. Memorial contributions may be made to: The American Cancer Society – Vermont Chapter, 55 Day Lane, Williston 05495. Arrangements are being provided by a very close family friend, Tom LaVigne of LaVigne Funeral Home and Cremation Service. Condolences may be shared at lavignefuneralhome.com.